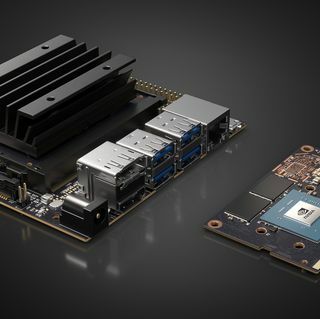 GPU Technology Conference—NVIDIA today announced the Jetson Nano™, an AI computer that makes it possible to create millions of intelligent systems. 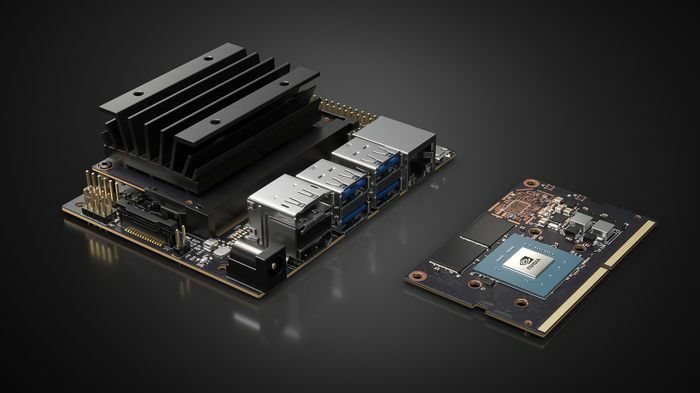 Certain statements in this press release including, but not limited to, statements as to: the benefits, impact, performance and abilities of Jetson Nano, Jetson Nano Developer Kit, Jetson Nano module and JetPack SDK; Jetson Nano running all AI models and ability to create millions of intelligent systems; Jetson Nano supporting many frameworks making it easy for developers to integrate their models and frameworks into the product; Jetson products extending its reach to users globally; Jetson Nano making AI more accessible to everyone and bringing AI to the maker movement opening up a new world of innovation and inspiring the next big thing; Jetson Nano Developer Kit bringing the power of modern AI, enabling a new wave of innovation; enabling AI projects that were not possible before and taking existing projects to the next level; excitement over the Jetson Nano Developer Kit bringing AI to the DIY movement and the reasons for the planned introduction of the technology to maker communities; the Jetson Nano module opening up a new world of embedded applications, its ability to bring products to market faster and companies’ ability to update performance and capabilities after the system has been deployed; Cisco’s mission, work with NVIDIA and Jetson being the key to its success and its ability to drive new experiences that enable people to work better due to Jetson; the benefits of Jetson and AWS Internet of Things Greengrass working together and it enabling customers to perform inference on Jetson devices and help improve model training; players in industries building intelligence and computer visions into their applications; and the availability of the Jetson Nano Developer Kit and Jetson Nano module are forward-looking statements that are subject to risks and uncertainties that could cause results to be materially different than expectations. Important factors that could cause actual results to differ materially include: global economic conditions; our reliance on third parties to manufacture, assemble, package and test our products; the impact of technological development and competition; development of new products and technologies or enhancements to our existing product and technologies; market acceptance of our products or our partners’ products; design, manufacturing or software defects; changes in consumer preferences or demands; changes in industry standards and interfaces; unexpected loss of performance of our products or technologies when integrated into systems; as well as other factors detailed from time to time in the most recent reports NVIDIA files with the Securities and Exchange Commission, or SEC, including, but not limited to, its annual report on Form 10-K and quarterly reports on Form 10-Q. Copies of reports filed with the SEC are posted on the company’s website and are available from NVIDIA without charge. These forward-looking statements are not guarantees of future performance and speak only as of the date hereof, and, except as required by law, NVIDIA disclaims any obligation to update these forward-looking statements to reflect future events or circumstances. © 2019 NVIDIA Corporation. All rights reserved. NVIDIA, the NVIDIA logo, CUDA, Jetson, Jetson AGX Xavier, Jetson Nano, NVIDIA JetBot, NVIDIA JetPack and TensorRT are trademarks and/or registered trademarks of NVIDIA Corporation in the U.S. and other countries. Other company and product names may be trademarks of the respective companies with which they are associated. Features, pricing, availability and specifications are subject to change without notice.